I thought this movie did a nice job with molding the material into a compelling narrative. 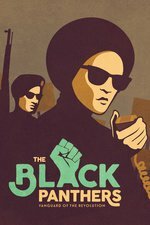 There was a ton of archival footage, much of which I’ve never seen in another film, and a nice focus on the broad swath of membership of the Black Panther Party (rather than a focus on a few charismatic and problematic leaders). With anything like this, it must be challenging given how many versions of this story exist, and I appreciated that they opened the movie with Ericka Huggins telling the fable of the blind men and the elephant. The version the story they chose is one that felt fairly honest and provided good cultural context for why the party existed. Just saw it in a theater in Berkeley. In the part when one of the people who resisted the police attack on the L.A. headquarters said that he felt free during the shootout, one person in the back started clapping, and then after a few seconds the whole audience applauded. Watching this movie in this context in these times was an absolutely electrifying experience. It gave me fantasies about (among other things) something like Bobby Seale's electoral slate happening in Oakland again.